Turkish President Recep Tayyip Erdogan and his Russian counterpart, Vladimir Putin, will meet on Jan. 23 to discuss Syria ahead of an upcoming summit on the country. Turkish officials this week confirmed that there are plans for Turkey, Russia and Iran to hold talks on Syria in the coming weeks, though a date has yet to be set. Prior to this trilateral summit, it seems that the Russian and Turkish leaders have decided that they need to get together to discuss a number of issues, including the safe zone, the Syrian Kurds and the recent decision by the US to withdraw from Syria. Russian Foreign Minister Sergei Lavrov has stated that Moscow will take into account the interests of all parties in Syria, including Turkey, when planning the proposed 20-mile safe zone that is under consideration for northern Syria. Recent developments in the war-torn country have paved the way for Russia to strengthen its position as the dominant actor in Syria, which has prompted Ankara to pin its hopes on Russia to resolve the problems that will result from US President Donald Trump’s decision to withdraw American forces from the country. 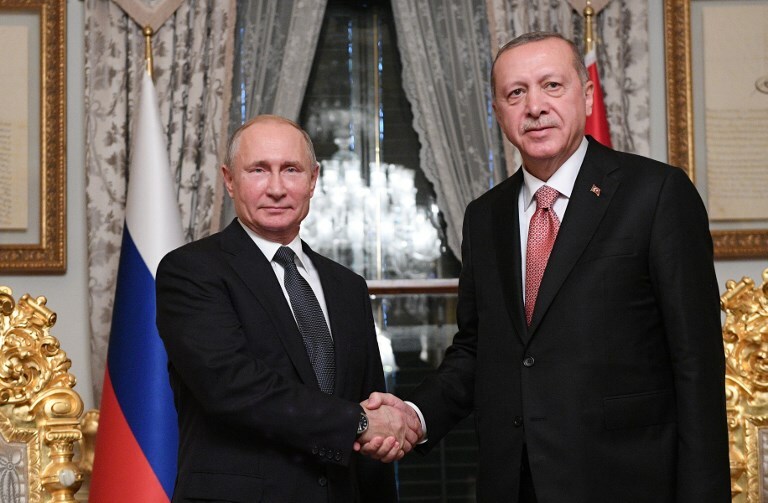 Russia has been a close partner of Turkey since early 2017 thanks to the Astana peace process, which led to the creation of de-escalation zones in Syria. Russia, Turkey and Iran are the guarantors of the Astana process, and the leaders of the three countries have met frequently as a result. Of all the nations with a vested interest in Syria, Turkey is one of the most concerned about the aftermath of the US withdrawal, as the decision is likely to shift the balance of power in the country. Given the complexity of the situation there, Turkey, along with other parties, is keen to heed the lessons learned during one of the fiercest wars in the Middle East. There are many lessons from the eight-year war in Syria but three are particularly significant. The first, and perhaps most crucial, is that before expecting a major change to happen in a country, it is important to know the strength of commitment of those who want that change (in this case the Syrian opposition and its allies, namely Turkey, the US and so on) and of those who want to preserve the status quo (the Syrian regime and its allies, namely Russia and Iran). Turkey and Russia have rolled up their sleeves to prepare for the aftermath of the US departure. During the early months of the conflict, dozens of countries called themselves “Friends of Syria,” supported the Syrian opposition, held meetings and made bold statements. However, the past eight years have shown that despite the vocal calls for the downfall of their ally in Damascus, Bashar Assad, Russia and Iran never wavered and stuck to their cause until the end. Now those two countries, though failures in the ethical aspect of the war, seem to be the winners of the conflict, at least in preserving the position of Assad. The second lesson is how alliances can change depending on developments on the ground. As has been proven in Syria several times, yesterday’s enemy can be tomorrow’s ally. The shifting realities in Syria have pushed countries to put aside historical bonds or alliances for the sake of their own national security interests. This has certainly been the case with Turkish-American relations. Washington bluffed the Syrian opposition and its allies several times over the past seven years and bears one of the greater responsibilities for the deaths of thousands of Syrians. The recent decision by the US to withdraw its forces after creating serious havoc in the country is the last straw. In addition, the proxy nature of the war has prolonged the conflict and caused a great deal of damage to the country and suffering to its people. The third major lesson that must be learned from the Syrian war is how the international community failed to respond to the refugee crisis. The huge number of Syrians who fled the fighting has severely tested the international refugee system. Women and children, who comprise 80 percent of refugees, have been the most vulnerable during the war, and the horrific ways in which so many of them have been killed will forever label Syria as one of the world’s most shameful conflicts. It is with these lessons, and others, in mind, that Turkey and Russia have rolled up their sleeves to prepare for the aftermath of the US departure.